This episode should have been epic, it has many of the elements that would make it all epic and parts of it were. But it was also distracted as all the characters who have been disappearing kind of came back and split up into little groups and all did their own thing and sure I like most of them (but my gods why are Liam and Theo still around?) but there wasn’t a huge amount of coherent addition to the plot so it’s kind of distracted. Also, I have an utter pet hate about power fluctuations and for the whole season the Hunters have been near unassailable but now we regularly see individual cast members happily taking on small armies Hunters. It’s a real pet hate for me. If something was invulnerable you can’t just de-invulnerable it because it’s convenient. Even Stiles confronting his mother’s weird mental creation thing. It was emotionally amazingly satisfying to see Noah stand up for his real son, oppose her save Stiles. But it also kind of took stiles out of the main battle to actually achieve anything and since a cornerstone of this whole plot has been, save Stiles Save the World (or something similar) it was unsatisfactory to me to have him not actually play that huge a role in this actual episode. That’s not a metaphor. We’re talking about the train literally having points and a lever to turn. Really. That’s how the big bad will be stopped? Diverting a train? To do this Scott needs to pull the lever and they ideally need to bring the worlds together. 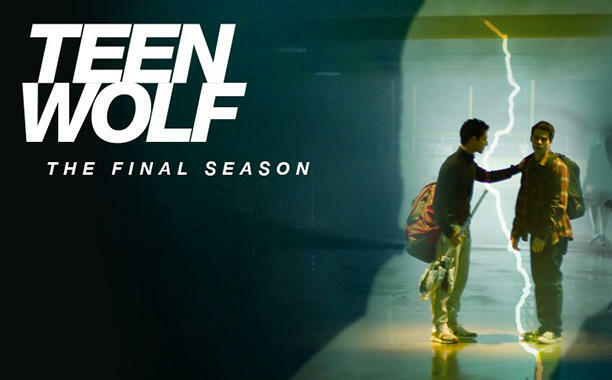 Scott and Stiles set off and have to do a lot of dodging the Hunt – but at least their disappearing act doesn’t matter so much now because the worlds are colliding so disappearing in green fog just means you have find where you are and head back. But, again, it’s kind of strange it doesn’t add to anything really. They don’t stop people getting on the train and even if they did it wouldn’t really change anything in the plot. It’s a random encounter. See, for a second there it looked like one of the gay characters would have some kind of fundamental role to play – but honestly he’s an object. A thing that does nothing except lay there and exist and somehow contribute to something resembling a plan or world building? And while Stiles and Lydia are reuniting with a kiss and Chris and Melissa and Liam and Hayden – Mason and Corey get wired up monster reunion. Yay. Another annoyance – Lydia begins screaming at Huntsmen and it’s an awesome weapon. And my gods why why why? Seriously we have known that banshees freak out the Hunt for several episodes now and not once has Lydia unleashed the combat scream. Not once. And now she belatedly remembers this ability? Scott eventually, after dodging a few huntsmen, reaches the points in the totally-not-a-metaphor tracks to find Garrett who does a whole come-to-Hitler Nazi speech. Scott says no and prepares to fight an entire army of huntsmen all by himself… until he is joined by Theo and Malia and Peter. No. This just annoys me. This is the moment to bring everyone in. We saw all this vignettes? Right make them relevant now by bringing everyone together. When Malia says “Scott has a pack!” show that, because that always has been his power. Bring in Lydia’s screams and Stiles (especially Stiles. Seriously you just had scene “Want to split up?” “never again” and then you split them up?! Why, why would you do that?!) and Chris Argent and even Melissa and even bring in Liam and Hayden – Scott has a pack? Show his pack – not Malia + 2 snarky extras. That’s not Scott’s Pack. Malia even snarks about the fact. Added to this is the annoyance that by getting rid of people like Kira – especially Kira – “Scott has a pack” is not the epic statement it once was. To the surprising of no-one, Scott manages to change the direction of the train, it goes down the wrong track and the Hunt then wanders off, presumably to unleash slaughter against another town (hush, we don’t talk about that. No, really, no-one talks about that. No-one). Thankfully along the way Garrett decides to give them orders and he gets all Hunted himself because the Hunt has decided – now – that it doesn’t follow orders. It was quite content to do so until the train changed direction but now it doesn’t. Why? Who knows, maybe the train was heading to obedienceville or it was a hellhound thing or a dread doctor thing or a banshee thing or Corey being a radio or whatever. It was a thing. And my rolling my eyes and hoping like hell that the second half of this season (there are 10 more episodes right? This isn’t the end? Right?! RIGHT!?) won’t be following the B team in a whole to make Baby Wolf happen. No right thinking person wants this spin off. This episode was, frankly, disappointing. There’s no real established world building for all of this, random stuff happens without a lot of sense or foundation. I feel the Hunt itself has been a hodgepodge of nonsense – remember when it was a supernatural force linked to the Morrigan? Now we have train stations and literal tracks and hellhounds (another creature made of hodgepodge nonsense) and still no actual explanation FOR the hunt. Or Claudia. Or Parrish. Or Banshees. The narrative was pretty much non-existent – it was random encounters, virtually unrelated and a whole lot of handwaving to drag us towards the conclusion. Was there a writer’s strike? The only reason at all this whole episode wasn’t a damn trainwreck was the characters and the actors who do such an awesome job of portraying them. I’ve said it before, Teen Wolf doesn’t get nearly enough credit for the acting chops it brings to the screen. This story was terrible. But Stiles and Scott being reunited? Was awesome. Lydia and Stiles together? Was awesome. Melissa and Chris together? Awesome. Malia? Awesome. Just always, awesome. They were handed the bitterest, most rotten, repellent lemons imaginable but damn did they squeeze some decent lemonade out of it.